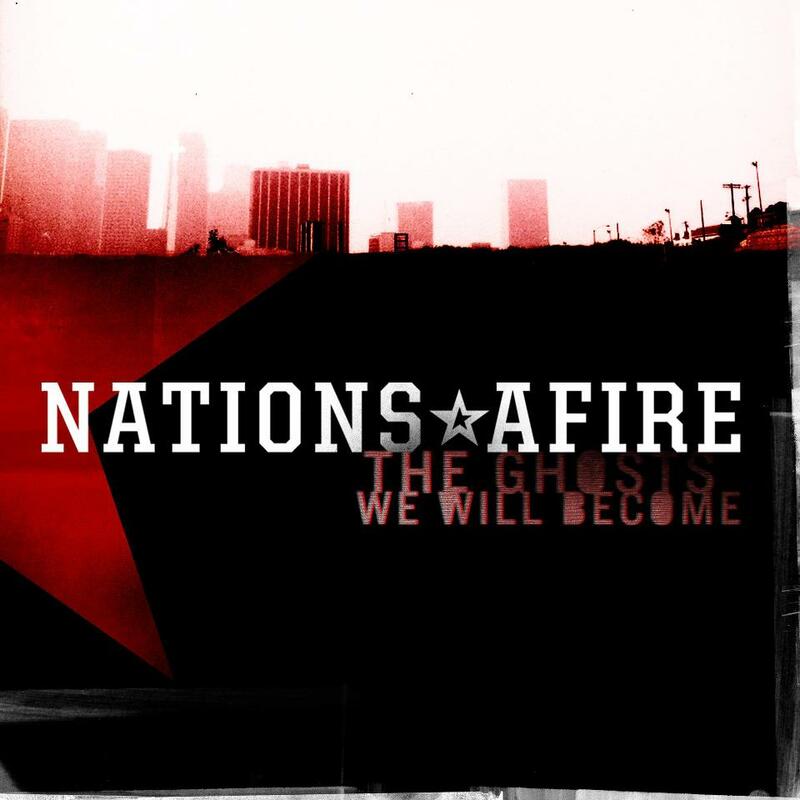 Nations Afire, an ensemble composed of music veterans from the groups Rise Against, Death Stereo, and Ignite, have recently released their debut album, The Ghosts We Will Become. No stranger to their music scene in California, the rock band seeks to spread their sound to a national–and global–level. 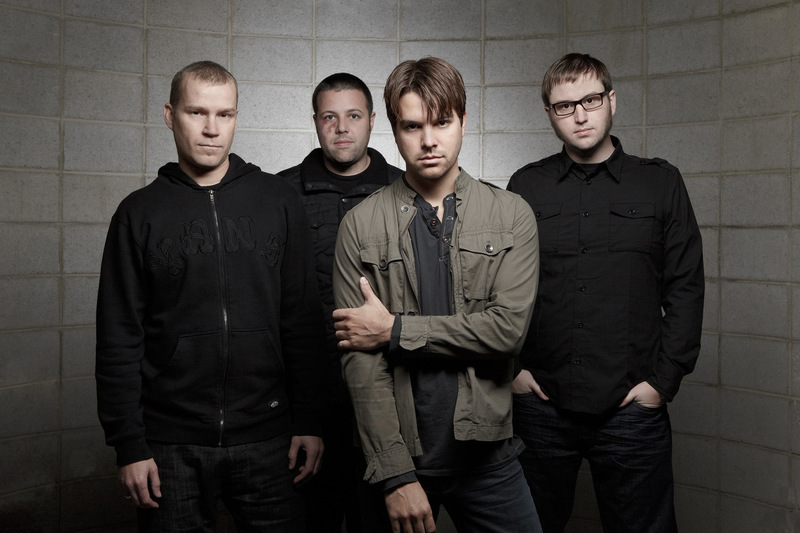 And perhaps that goal isn’t without reason either; with strong riffs and vocalist Nik Hill’s powerful, rough vocals (somewhat reminiscent of less nasal-y version of Alter Bridge‘s Myles Kennedy’s singing voice) that blend together well, nearly every song in the album possesses the headbanging energy people want. The songs without the hard rock gusto are no slouch either, instead choosing a more emotional approach, from comparatively heavy Nine Lives to entirely acoustic Even The Blackest Heart Still Beats. Certain parts of the album, however, are weak. “I am an army coming through/I am a zombie over you/I can’t believe it, I want it so bad” in I Am an Army feels almost half-assed, and the opening line “And the wolves cry out again” in Wolves’ chorus seems to always drop the energy of an otherwise consistent song. Another issue with The Ghosts We Will Become is that it sounds too similar to the punk rock and hard rock scene. The beginnings of I Am an Army and One Perfect Day, for example, sound just like an intro from a song by Rise Against. The lyrics also read similar to Rise Against or Anti-Flag. Although the sound itself is more than satisfying, there aren’t any curve balls or segments that stand out as unique, which makes the album sit in the shadow of already established bands of the same genre. Nevertheless, as a band’s debut album, The Ghosts We Will Become is a very strong start, and it is a positive indicator of Nations Afire’s talent and where it can go from here. As long as the band continues to develop their own sound and find its niche in the wildly popular rock genre which they jump into, it will no doubt end up in the spotlights. Rising Southern California rock band Nations Afire have released a new song off of their upcoming debut album, The Ghosts We Will Become, entitled Pick Up The Pieces which can be streamed below. The band is composed of former Rise Against member Chris Chasse; current Ignite members Nik Hill and Brett Rasmussen; and former Death By Stereo member Todd Henning. The album is scheduled for release on July 2nd via the Hermosa Beach indie label Hardline Entertainment and is available for pre-order here. Pre-ordering the album enrolls you in a special raffle event, hosted by the band, in which one lucky winner will receive a custom Nations Afire guitar in their “Pre-Sale Contest.” Be sure not to miss I Am An Army, Nine Lives, and the title track The Ghosts We Will Become, three songs previously released that are also part of their impending full-length. Also be sure subscribe to their Twitter, Instagram, Myspace, and Youtube channel!